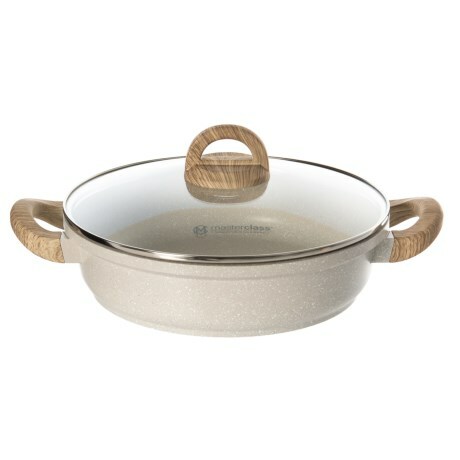 Cast Aluminum Speckle Low Casserole Skillet with Glass Lid - 11? CLOSEOUTS. Ideal for all cooktop surfaces including induction, this Masterclass cast aluminum speckle low casserole skillet cooks your favorite dishes with ease and cleans up just as well with its nonstick interior. Available Colors: BEIGE.